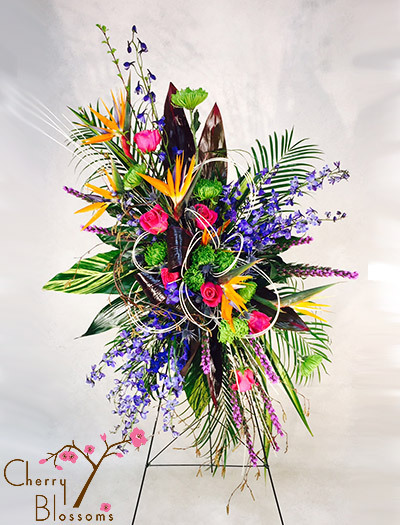 Standing spray with birds of paradise, and colorful blooms. Birds of paradise blooms with other bright flowers and graceful stems create this standing spray . Price includes the metal easel stand.